My first visit to Murcia in Southern Spain. 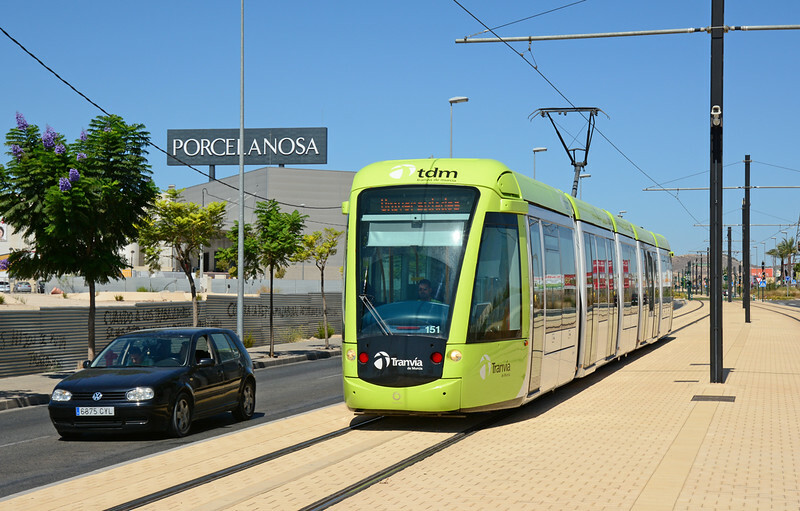 Here we see Tranvia De Murcia 151 on the approach to Principe Felipe. This shot taken in 36 degree heat.